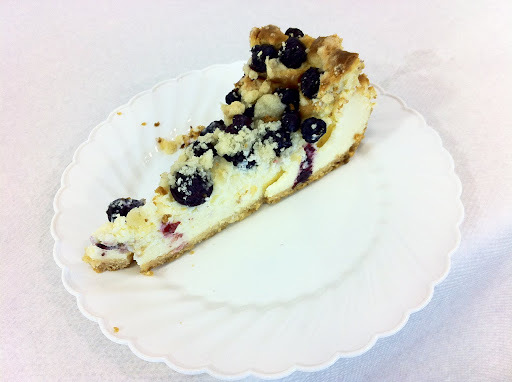 Gorgeous recipes like this Blueberry Crumble Cheesecake are coming all the time. I have three culinary cultures. Plus my own family recipes and classic American fare. Mix flour, 6 tbsp sugar and cinnamon. Cut in cold butter with pastry blender or two knives until mixture resembles coarse crumbs. Save 1/2 cup for the crumble topping. Press remaining crumbs firmly onto bottom of pan. Bake 25 minutes or until the edge is lightly browned. Beat cream cheese, 1 cup sugar and vanilla with electric mixer on medium speed until well blended. Add eggs and sour cream, beating after each addition. Pour over baked crumble crust. Top with blueberries and sprinkle with reserved crumb mixture. This process of prebaking your cheesecake filling will create a skin layer on top of your cheesecake so that your fruit and crumble will not sink to the bottom during the cooking process. Bake an additional hour and a half at the reduced setting. Turn off the oven. Run a knife around the inside edge of the pan to separate the cake from the pan. Pop the cake back in the hot oven for another hour allowing it to cool as slowly as possible to avoid cracking. 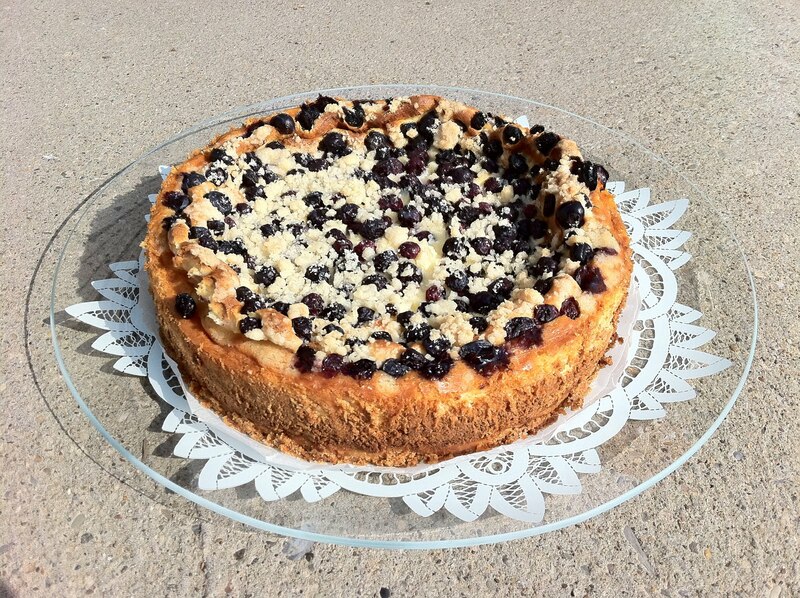 When the cheesecake has cooled completely you can transfer it to the refrigerator. Wait twenty-four hours before serving it to allow the flavors to develop. for a Chili Cook Off and Auction. It sold for $200 to a very happy couple. Thank you Nichole for great directions! Congratulations! I’m thrilled for you and for your fundraiser. That makes this my biggest earning recipe yet. It’s so pretty with the crumble finish. Every time I see this photo pop up on my blog’s header I’ll be thinking of you and grinning from ear to ear.